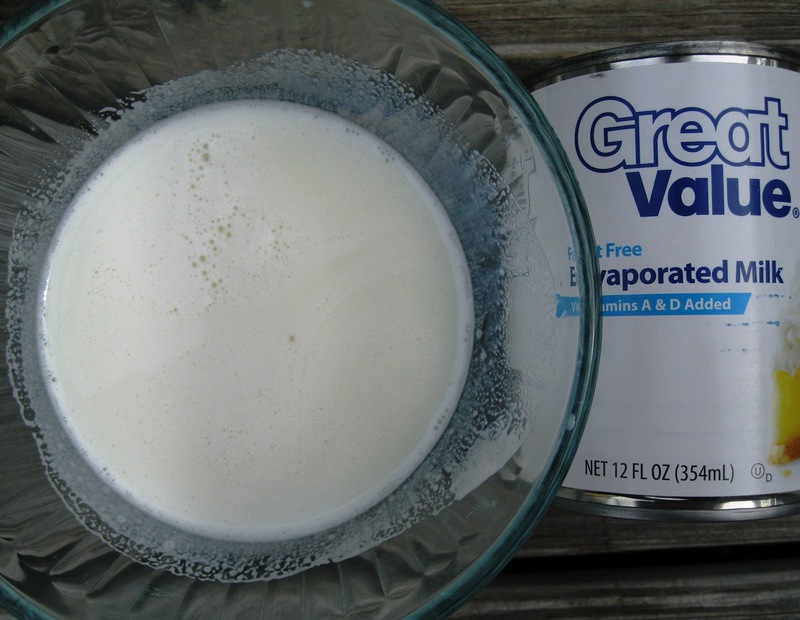 Making your own evaporated or canned milk is super easy and inexpensive! 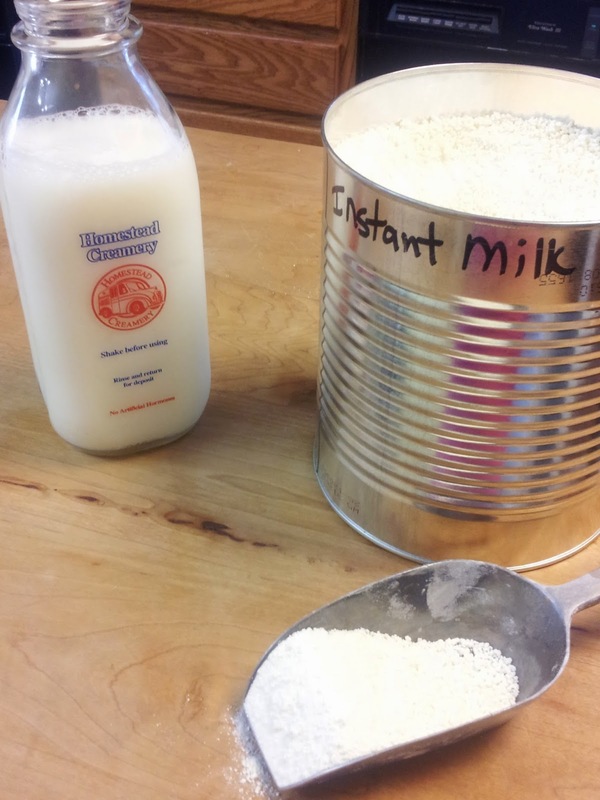 If you already keep powdered milk on hand in your pantry, then you can make evaporated milk. Evaporated milk, is regular milk with 60 % of it's water removed. Many baking and cooking recipes like Crockpot Mac-n-Cheese require evaporated milk, because of it's reduced water content. If you find you need it, and don't have a can just follow this simple recipe. a typical can of milk is 12 oz. so make 1 full + another 1/2 of the recipe below to equal 12 oz. Mix well and then ready to use. 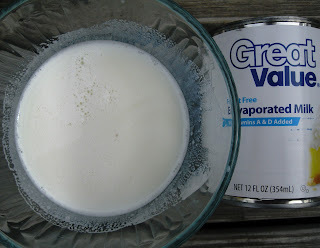 Jan's tip: this recipe is for fat free evaporated milk. If your recipe calls for evaporated whole milk, then add 2 Tblsp. melted butter/margarine to the recipe to add in a bit of the fat that has been removed from the powdered milk. okay that is just super smart, great to know! Wow. I seriously had never heard of this before! How neat! Stopping by from TMTT. Dusty, I'm glad you did stop by! THanks! Thanks for sharing this. I always seem to run out of evaporated milk so this would be a great recipe to have on hand. I'm visiting from the Frugal Ways hop and love all the crock pot recipes you've posted. And I love your "dump it" meal idea. I've GOT to start doing that! I'm glad you found me! I love the Frugal Ways Hop, too! You are so sweet to stop and send me such nice comments! Thanks! Wow! Thanks for that tip. How easy and cheap is that! I am going to give this a go. I looked at your website and i loved all the tips and cooking Ideas. Amazing was the Sweetened Condensed milk . There were so many times that i had to send my husband to buy the cans and i had to tell him where he can find them.